We expect Mahindra to keep the starting price of the XUV500 facelift around Rs. 12.5 lakh, while the top-end model could breach the Rs. 18 lakh mark. Mahindra is all set to launch the 2018 XUV500 facelift in India tomorrow and the new model will come with a host styling and cosmetic updates along with a more powerful diesel engine. While officially the carmaker hasn't revealed much about the 2018 Mahindra XUV500 facelift, based on the several spy images we have seen so far, we already know a fair bit of the updated model, like, the redesigned exterior, new interiors and revised features. Sure there is still a lot to know about the SUV in terms of technical specification and more, the biggest unknown aspect is the new price tag. 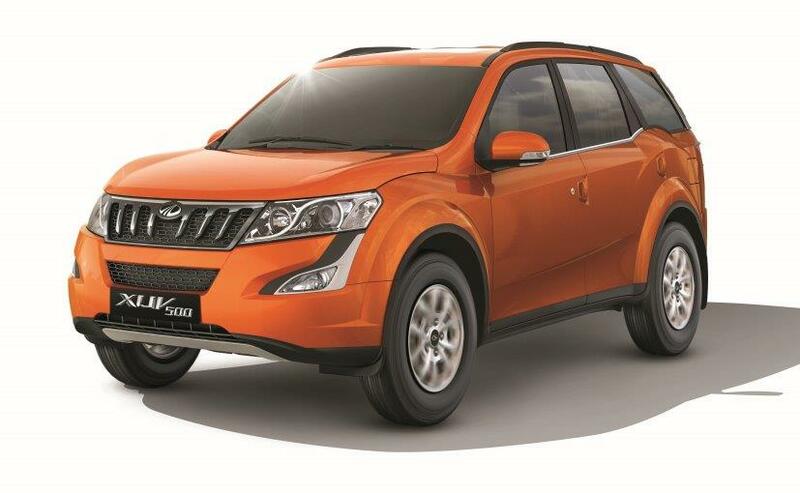 Currently, the Mahindra XUV500 is priced in the range of ₹ 12.78 lakh to ₹ 17.86 lakh (ex-showroom, Delhi). Now, the outgoing Mahindra XUV500 has been in the market for about three years now and with growing competition from the likes of the Tata Hexa and Jeep Compass, Mahindra had to do something to keep the XUV500 relevant. Considering this, we expect Mahindra to keep the starting price of the XUV500 facelift around ₹ 12.5 lakh, while the top-end model with the bells and whistles could reach the ₹ 18 lakh mark. Visually, the XUV500 now comes with a completely redesigned front with a new larger chrome-studded grille, flanked by new wraparound projector headlamps with LED DRLs and revised front bumper with chrome insets for the tear duct-shaped foglamps. However, the LED daytime running lamps could be exclusive to the top-end W11 variant. The biggest change, however, is the new wraparound LED taillamp, the revised tailgate, along with a new spoiler, larger number plate housing and updated rear bumper. The XUV500 will also get a refreshed cabin with new interior and upholstery. However, the recently seen spy images confirm that the dashboard design will largely remain unchanged, save for some minor cosmetic tweaks. The touchscreen infotainment system is expected to be an updated one with more options along with Android Auto and Connected Apps and EcoSense. The XUV500 will also continue to come with an electric sunroof, power-assisted driver seat, reverse parking camera, push-button start function, keyless entry and much more. The XUV500 facelift will continue to be powered by the 2.2-litre mHawk diesel engine which will now come in two states of tune, the existing 140 bhp and 330 Nm torque options and an updated 157 bhp and 360 Nm torque version. The existing 2.2-litre mHawk petrol engine, however, is likely to remain unchanged at 140 bhp and 320 Nm of peak torque. Transmission options will include the 6-speed manual gearbox and the Aisin-sourced 6-speed automatic torque converter unit.